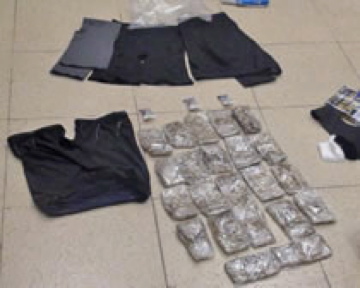 Suspected drug couriers from the east coast and Panama apparently used some innovation, smuggling cocaine and heroin in small pockets sewn into Lycra shorts and in their hair weaves and wigs, according to the website Government News Service. GNS reports that 12 individuals were charged in a 20-count indictment, the results of a three year investigation of ICE, Homeland Security and the DEA, allege the individuals. ICE officials called the investigation a game of cat and mouse. Law enforcement officials would crack down on the smuggling ring, only to have smugglers adapt to new law enforcement techniques, and so on. Ronaldo Edmund, Kelvin Cook and Julio Archer, of the US, allegedly recruited mostly female couriers, reports GNS, to smuggle heroin and cocaine by the kilo from Panama to the U.S.
Posted: 12/26/11 at 8:58 AM under News Story.